Every weekend, it’s time to get some extra cash from Sloty Casino. 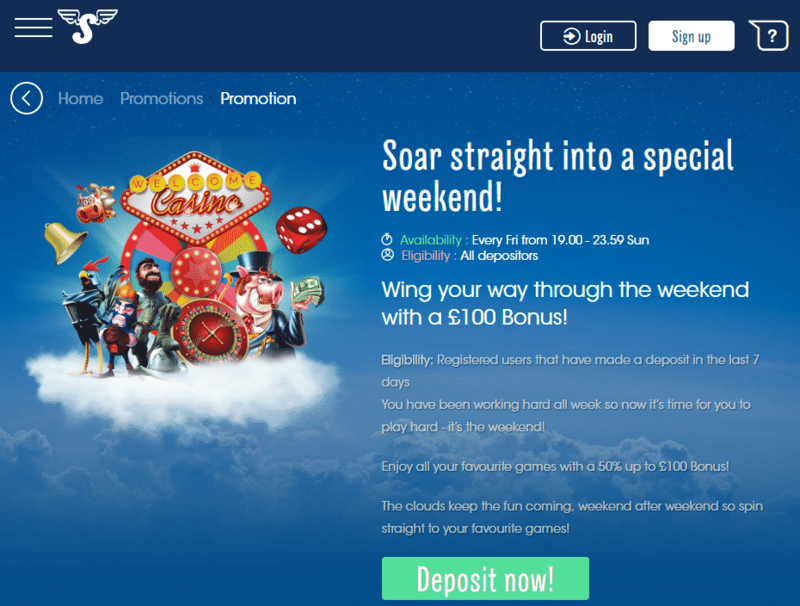 Make a deposit in the previous 7 days in order to be eligible to receive 50% up to £100. The promotion is active from Friday at 19:00 to 23:59 on Sunday. Keep an eye on this offer and take advantage of it to increase your winning chances!